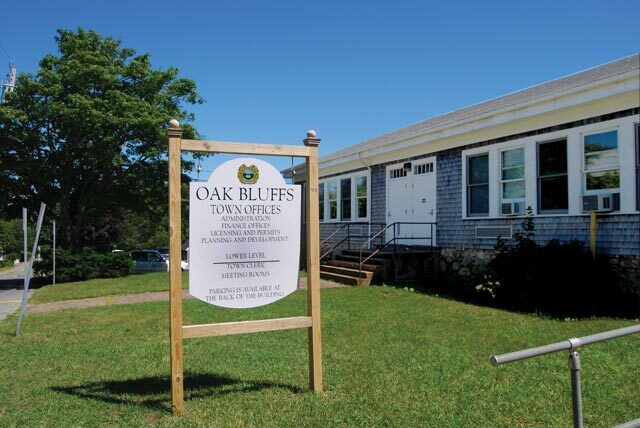 Oak Bluffs selectmen ran into a setback this week in their attempt to hire a contract accountant familiar with town affairs. The town issued a request for proposals (RFP) with the expectation that Sullivan and Rogers, the firm that had handled town accounting duties for the last few months of the fiscal year that ended on June 30 and was already familiar with town finances, would bid on the job. However, on Monday selectmen, who met to interview candidates for the position on interim administrator, said that Malloy, Lynch, and Bienvenue, a certified public accounting firm with offices in Brewster and Norwell, was the only firm to submit a bid by the deadline Friday. Kathy Burton, chairman, asked selectmen to review the bid. “Look at it and see what we think, if we want to accept that, there was only one, or if we want to do something else, like go out to bid again,” Ms. Burton said. “We really should deal with that this week, one way or the other,” Walter Vail said. The town has been without a finance director and treasurer since the death of finance director and treasurer Paul Manzi, in October, 2010. Selectmen voted not to fund the position in the operating budget, but chose to fund it with a Proposition 2.5 ballot question. Voters defeated that measure by a large margin. Throughout the winter and spring the town hired Sullivan and Rogers on a contract basis to straighten out the books. In the aftermath of the Prop 2.5 defeat and with the town’s financial situation worsening, on July 7, selectmen received $30,000 from the finance and advisory committee’s emergency reserve fund to hire an accounting firm. At the time, Mr. Vail and Ms. Barmakian said they hoped to have Sullivan and Rogers contract accountant, Stacie Ward, who was familiar with town accounts and procedures, on the job within a few days. The selectmen said it was important to have some continuity, rather than have a new firm, with no knowledge of town procedures. However, Sullivan and Rogers, advised the town they should put the $30,000 contract for accounting services out to bid.